I have been super busy lately. The kind of busy that makes your head spin and hurt and all you want to do is curl up and call it quits! Please tell me that this happens to you as well! 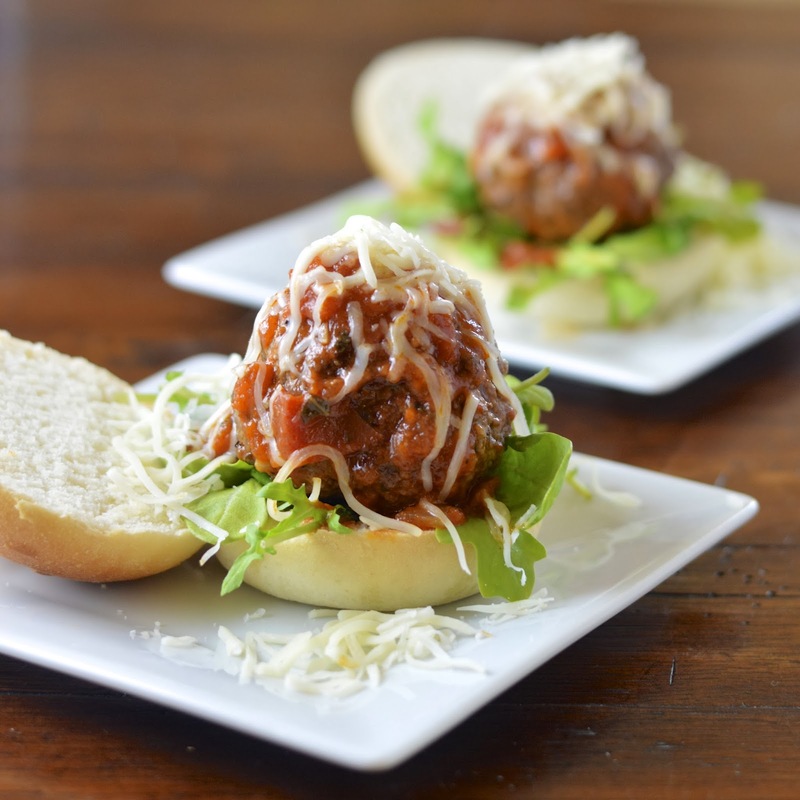 Therefore, easy meals are a definite must and these Meatball Sliders with 5 ingredients are perfect. 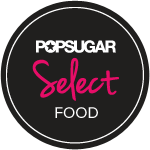 So if you don’t mind me venting for a bit, along with my blog (which takes up many hours), I do a fair amount of freelance recipe testing. I love this work, but when I get a big project, it puts all else on hold. However, some things can’t be put on hold like my daughter’s field hockey games, my son’s basketball games, college tours and webinars for my son, kids off from school, dog walking, etc. Ok, I feel much better now. Back to the sliders. The trick to 5 ingredient dinners, are the ingredients themselves. They need to be really good quality so that each ingredient can hold it’s own. 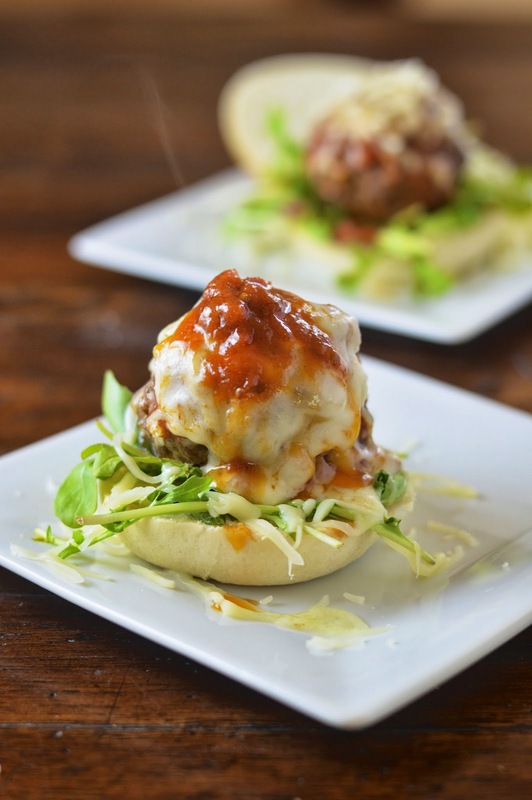 Food network wanted us food bloggers to put together some yummy sliders for Super Bowl Sunday and these little meatball sandwiches are great game day fare. I needed some unique ingredients for my other projects, so I headed over to Whole Foods this morning. I knew I could find some good quality pre-made meatballs without a problem. Although my intention was to buy a bag of frozen ones, I was seduced by these fresh ones in the meat department and couldn’t resist. For this recipe fresh or frozen will do. Trader Joe’s also has really good pre-cooked frozen meatballs (turkey or beef). As well, I opted for some bake at home rolls (who doesn’t love the smell of bread baking) from Rhodes (found in freezer section) and their small circular shape is a perfect fit for the slider. 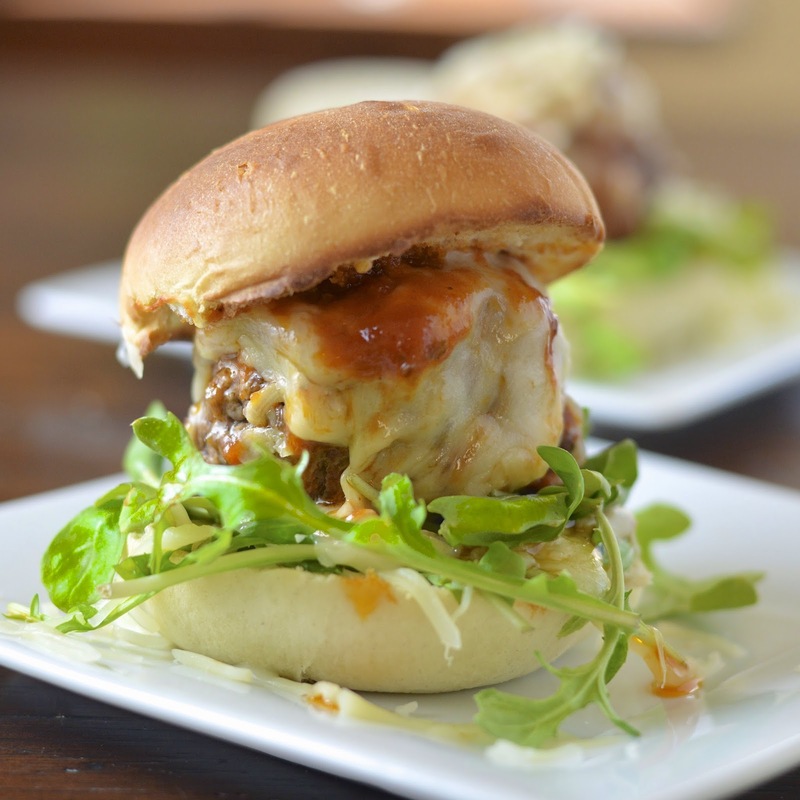 Some quality jarred sauce, shredded mozzarella and a touch of arugula round out this delectable and juicy slider. Seriously, it only took minutes to make and honestly, that’s all I have these days. 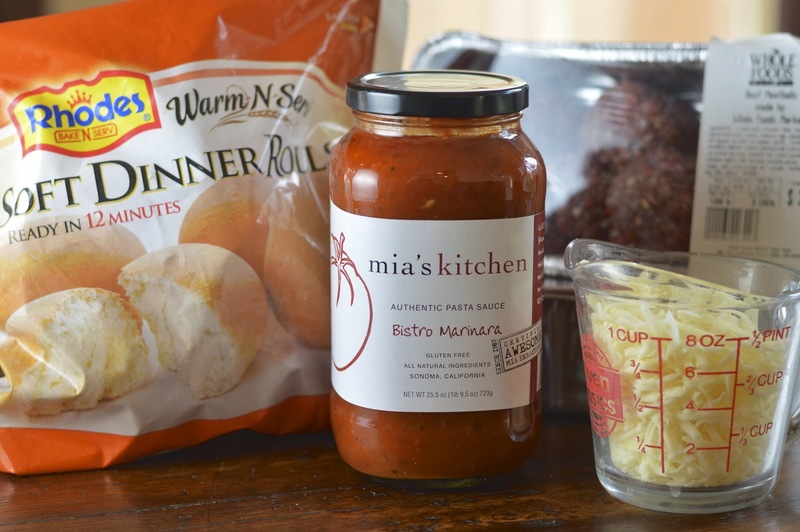 Recipe note - You can make your own meatballs if you have the time! This recipe is loosely based on this dish from Bon Appetit and I'm sure their meatballs are excellent! In a large saute pan heat olive oil on medium high. Add meatballs and brown on all sides, about 5 to 7 minutes. Add sauce and cover. Cook on medium for 15- 20 minutes depending on size of meatball. While meatballs are cooking bake rolls in oven according to package directions . Split rolls and place arugula on bottom half (after the rolls are done baking you can split them and toast for extra crunchiness). Place meatballs on top of arugula (1 or 2 depending on size) and top with shredded mozzarella. Top with extra sauce if desired. Serve warm. 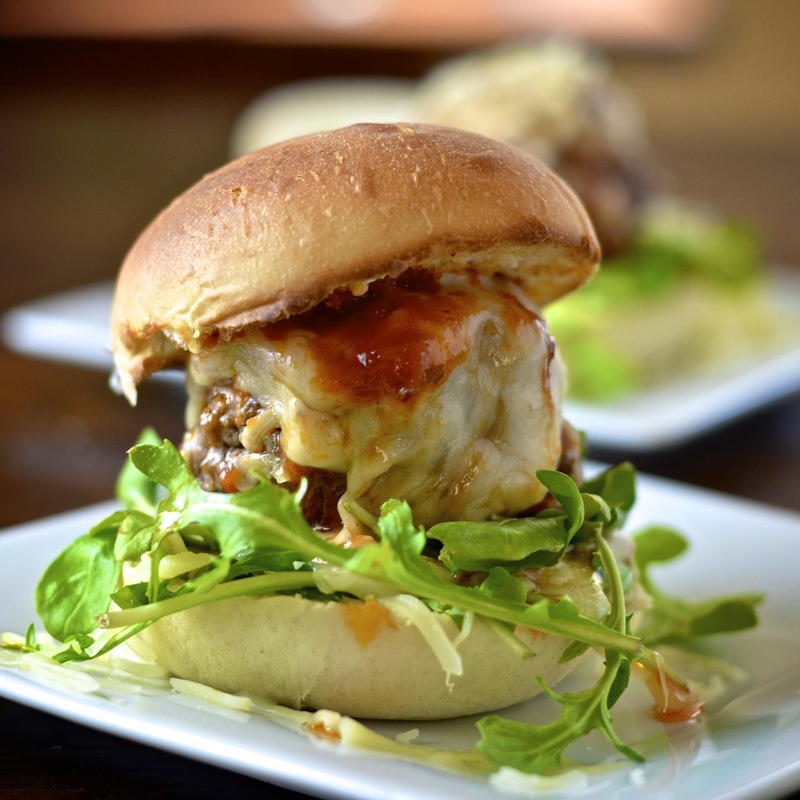 You totally had me at meatball... and slider. Love these! The photos of these make me just want to have one right now! 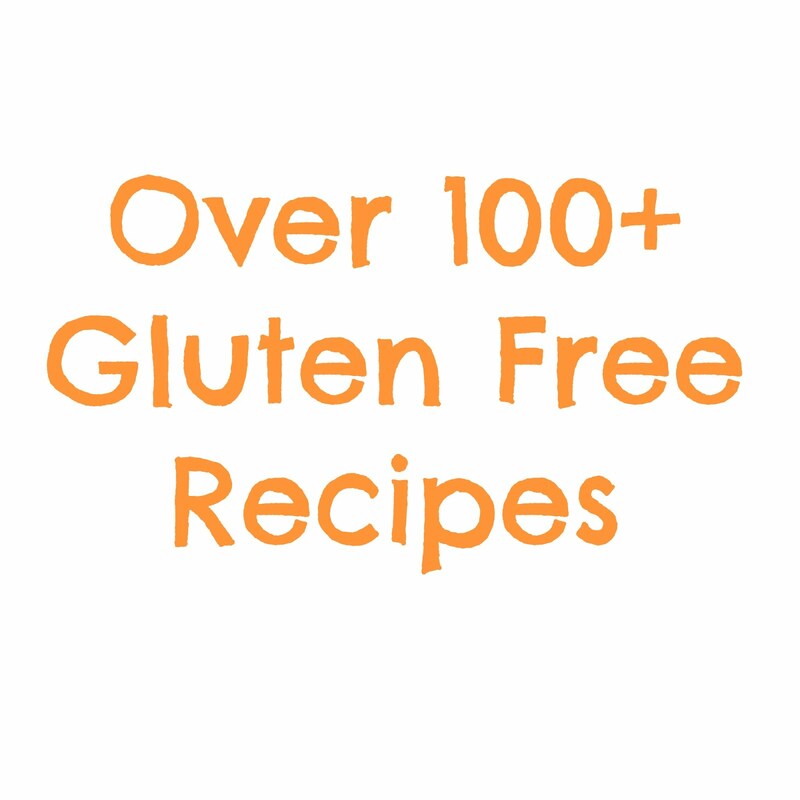 Great simple recipe with lots of flavor! YUM! Thanks so much - love your yummy sliders too!